The second part of the coordination meeting provided space for discussing plans for the second half of 2017 and for 2018. This year is last year of the European campaign coordinated by the European Campaign secretariat. From 2018 as the Council of Europe will decrease its coordination function and focus on supporting the ongoing national campaigns. Manage your campaigns and events better with popevents.ca and avoid any confusion or glitch. 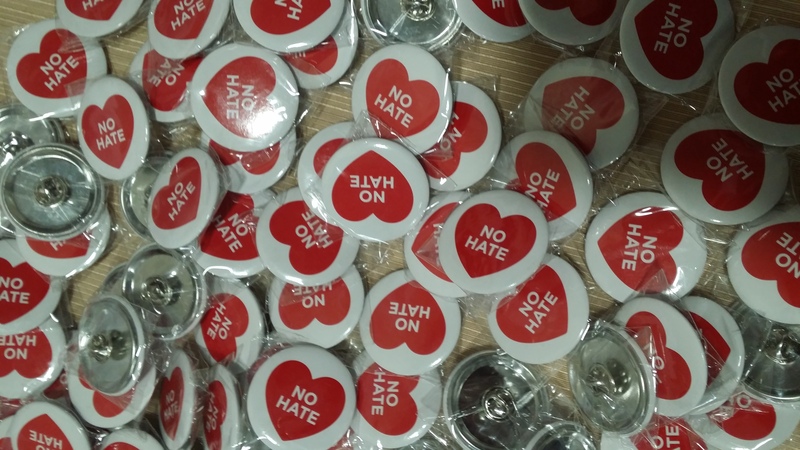 how to continue combating sexist hate speech. This working group discussed how to further work with the WE CAN manual. The working group concluded that the manual needs simplification and the production of different session outlines and presentations to support the implementation. It was also discussed that competent trainers must be trained who can later multiply their competencies. It could be done through winter/summer school or study sessions in the youth centers. We have to looked deeper into examples as to see how it can be transferable for local context. There is a need for competence on discourse writing, creative design, etc. to better include funny, creative or artistic expressions. There is the need to translate key terms to other languages (ex. Russian) that explains what narratives are and that could be distributed in form of handouts and presentations. Many languages do not have equivalent terminology. Regarding its potential use it was concluded that it’s complementary to bookmarks which can be used to give a deeper understanding of hate speech and human rights. 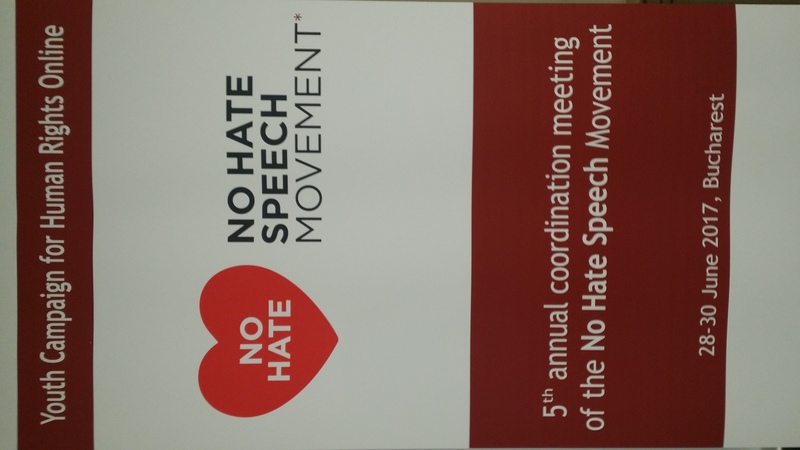 Many of the existing activities and responses of the campaign could introduce CANs to increase the efficiency and strengthen strategic responses to hate speech. Using CAN can also make it easier to identify when it’s needed to respond or not to respond and to clarify the aim of the response. CAN’s are often used to respond to extremist ideology and narratives. Useful as tool to make structured and targeted responses to concrete examples in a concrete context. It can build on media literacy training where message and image analytics is an integrated part and develop these competences. In this aspect it’s beneficial to invite experts from other relevant disciplines such as media, journalism, communications and educators who can provide practical tools and help develop skills. Using social media could be an integrated part – from analysing technical and for taking the CANs into action. It can easily be combined with visual output such as videos, photos, storytelling, as well as using stories from real lives. The practical aspect where you create the counter speech and combine learning with creativity has the potential of include learning by doing and makes it easier to understand the purpose. We CAN training can develop action taking skills such as human rights for transformative action (effective strategies for people who are working to change their lives and the world around them). The group came up with the idea of a study session on CANs where the participants also develop NFE activities similar to the ones in Bookmark (learning by doing) to easier communicate / teach the concept of narratives and counter narratives. There is a clear interest in translating We CAN into Spanish, Dutch, Flemish, Hungarian, Slovak and many other languages. 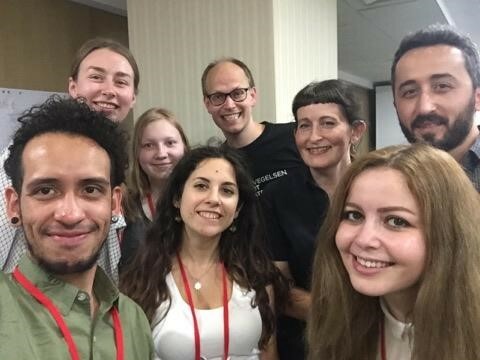 This working group discussed the link between Internet Governance and the Movement. The group concluded that defining internet governance further was challenging, however we can consider it as a body of rules which govern internet usage. Key words which relate to youth participation in internet governance are: security, human rights, democracy, standards and policies, secure access to the internet and public opinion. As young people are the key users of the internet therefore, it allows for self-determination i.e. when we can decide policies and regulations affecting our future. The democratic nature of internet governance, youth participation is important to shape (for example) the decision making process and municipality. The job market is becoming digital which affects the future of the youths. Rights which are associated with internet governance such as freedom of expression, right to information and right to development are major rights which directly affect youths. They identified challenges such as lack of cooperation on the part of stakeholders and intermediaries, difficulty in regulating the internet as laws differ by country, lack of dialogue between policy makers and youths. That is, there are no platforms for discussions between policy makers and youths on internet governance, limited communication between youths and stakeholders on internet governance, lack of responsibility online, difficulties in follow-ups (in regards to youth participation), difficulty in finding a balance between protection and freedom online. The working group recommended that there should be more initiatives which promote media literacy and human rights education (supported by the national governments). Knowledge and expertise which are acquired at forums such as the EuroDIG and the IGF should be disseminated to the NCC’s so as to improve the understanding of youth participation in internet governance. There should be more investment towards the improvement of diversity and democracy. There should be increased access to discussions and forums on youth participation in internet governance. This will include seminars which could take place on a local level and funding to attend forums which discuss internet governance. There should be more advocacy by the national campaigns for the inclusion of youths in the policy-making process on internet governance. The group had discussion about the connection of Human Rights to the consequences of the sexism. It was mentioned that sexism is very broad issue and sexist hate speech is even broader. It is also important to challenge heteronormativity that is strongly embedded into the gender equality agenda, and the wrong direction that governments taking up a heteronormality approach and promoting heteronormativity while advocating for gender equality. The group mentioned that 8th of March is a women’s rights day that in recent years were taking the shape of giving flowers, discounts on kitchen stuff, cosmetics by which pushing women back to the inequality, back to the situation when it was decided to establish an International Day of Women’s Rights. It also pushes the reality of men taking care of women. The group came up with some concrete recommendations that in later actions on this day it would be easy to use pictures and videos making people choose what is the present for Valentine’s day and for 8th of March (practice from FYROM). Music is also very good tool in this regards and the songs could be translated in different languages. The questions “What feminism means to you? What women’s rights mean to you?” could also be helpful. 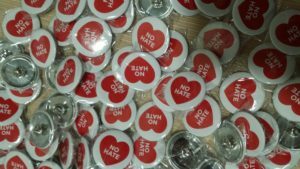 One more idea was to use pin maker machines for offline actions involving people to make their own badges for the 8th March. Cooperating with organisations such as disabled women organizations, Amnesty, UN refugee agency and national governmental institutions working on women’s rights could also be helpful. In the very last part of the meeting participants discussed ways of continuing cooperation and ideas of the national campaign teams regarding further international cooperation after the European campaign ends. The participants came up with 11 concrete project ideas for 2018 in order to continue international cooperation to maintain the spirit of the No Hate Speech Movement and continue combating hate speech and promoting Human Rights online. If you are interested in joining the project team you can contact the coordinator (who proposed the project idea). 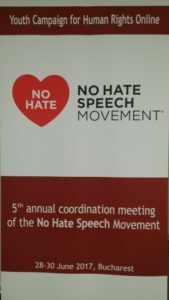 Training of young journalists and teachers on combating hate speech – Luis B. The expectations towards the closing event are to create a bridge to the new phase or to the future of the movement, to provide guidelines and lessons learned about the continuation of the campaign, to strengthen and support the continuation of the campaign in member states, to keep the network, to involve other departments of the Council of Europe and to show the realities of the campaign. 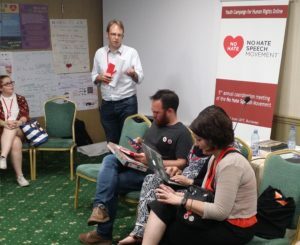 The event should involve people outside of Europe, NGO-s in Africa, Canada, Morocco, the mainstream social media companies, national and European campaign activists, national campaign teams, some people who do not know about the campaign, the European Youth Foundation, main international partner organisations, grant providers (EEA Grant..etc), some local authorities involved in the campaign. The format of the event could include panel discussion with activists, award giving, youth policy makers, fair of national campaign achievements, background with pictures and videos of the whole work during the campaign, a real flash mob in the venue involving locals and many small group discussions to avoid too much plenary work. As for its content there should be a draft report of the final evaluation presented, discussion and verification of the result of the campaign, priority setting with partners for future projects/priority in youth sector and guidelines for participants on how to prepare for the event. The meeting also concluded that most of the national campaigns will continue on different intensity and in different approaches in 2018 and the national campaign teams will further cooperate in order to keep the No Hate Speech Movement alive online as well as offline. Most participants think that the national campaigns should continue after the European coordination is lowered to a minimum support and proposals were made as to how to manage such a transition in order to prevent the national campaign teams from breaking up.